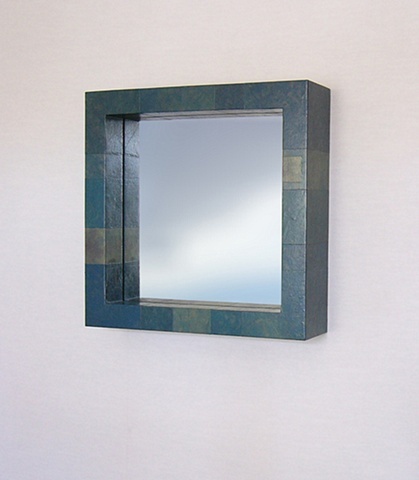 This modern Deep Box mirror frame was made with torn and tinted paper applied to a wheatstraw composite frame. The color is called "Caribbean". It has a urethane topcoat and wax finish.